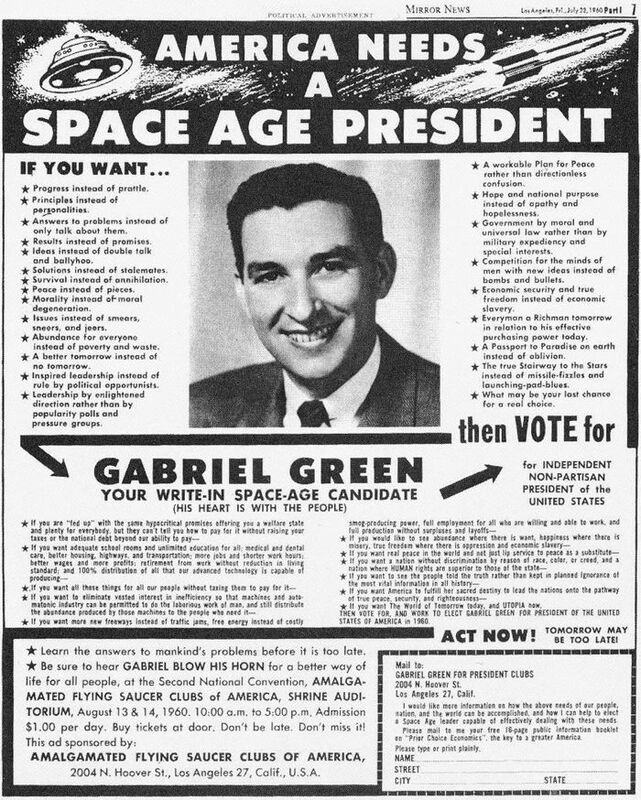 Gabriel Green campaigned to be President of the United States in 1960, promoting himself as "your write-in space-age candidate." His main qualification was that he had "seen at least 75 flying saucers and has chatted with space people." 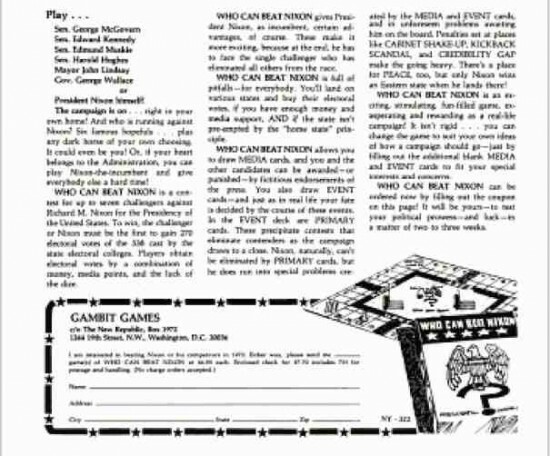 Also, he was founder of the Amalgamated Flying Saucer Clubs of America. He promised that his presidency would usher in "The World of Tomorrow, and UTOPIA now." However, he didn't attract a lot of support from voters. He attributed this to the fact that "not enough Americans have yet seen flying saucers or talked to outer space people." So he dropped out of the race and endorsed John F. Kennedy. The space people told him that they approved his decision. He ran again in 1972, with similar results. More info (and photos) at Gabriel Green for President. March 1954: George V. Fried of Oklahoma City announced his candidacy for the U.S. Senate. His platform was, "If it's right, I'm for it." But when asked what ticket he planned to file on for the race, he replied, "It's none of your ________ business." Two months later he was arrested, charged with passing an insufficient funds check for slightly over five dollars at a liquor store. Sounds to me like he would have made a fine member of the U.S. Senate. Scott Allen Meek is running for President, and he's not afraid to call attention to serious issues. 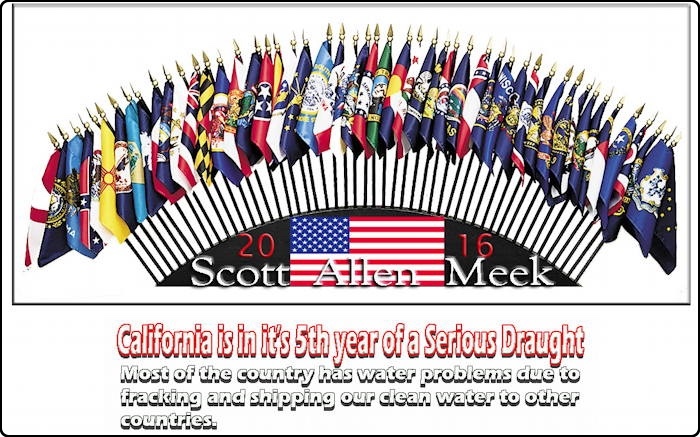 For instance, right at the top of his campaign website he points out that "California is in it's 5th year of a Serious Draught." He's the only candidate I'm aware of who's ever drawn attention to this problem, but as a California resident, I can confirm that it's absolutely true. Sometimes it gets so draughty here that I have to put on a sweatshirt. And as someone who's spent quite a bit of time in the UK, I appreciate his use of the British spelling of the word. Other issues important to Meek include the promotion of desalination and hemp farming. Heidi Peterson left her Detroit home empty for a year, and when she returned, she says, she found a woman, Missionary-Tracey Elaine Blair, squatting there. The woman refuses to leave, and apparently you can't just kick someone out who's squatting. You have to go to court, prove you own the property, and then get an eviction order. So now both women are living there together. Whatever the case may be, the experience certainly qualifies Missionary-Tracey Elaine Blair to occupy the highest office in the land and squat in the White House for four years. So she's campaigning as a write-in candidate for President, and wants your vote. 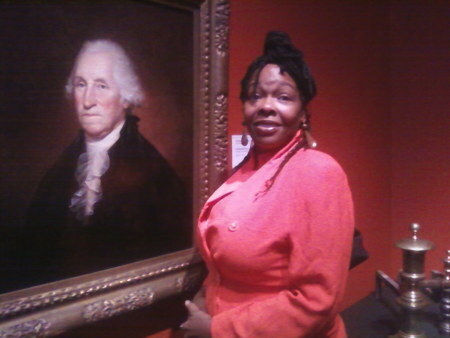 That's her below, posing with George Washington. Remember her name on election day! He says he has an IQ of 430. He wants to move the U.N. headquarters to the demilitarized zone between North and South Korea. He claims Michael Jackson's soul visited him three days before the singer died. Inspired by the visit, Huh later produced a record titled, "Call Me." He wants to give $100,000 to all couples who get married, and $30,000 to anyone who has a baby. How to pay for this? "Where there is a will, there is a way. I have all the solutions in my head. 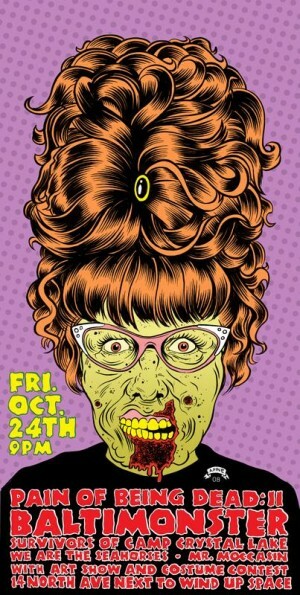 Remember, my IQ is 430." 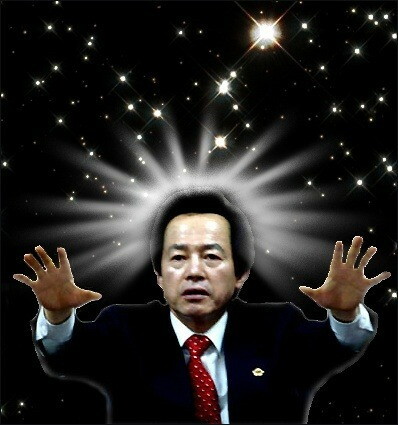 At the age of 57, he acquired supernatural powers. Read more about Huh at koreatime.co.kr. One of the weirder Hollywood offerings, this film depicts an American President gone wild in office--and it turns out to be a good thing! I'm surprised the film hasn't figured in this year's politics. Long unavailable, it's recently been reissued. Follow the Amazon link. Where is the 2012 version?